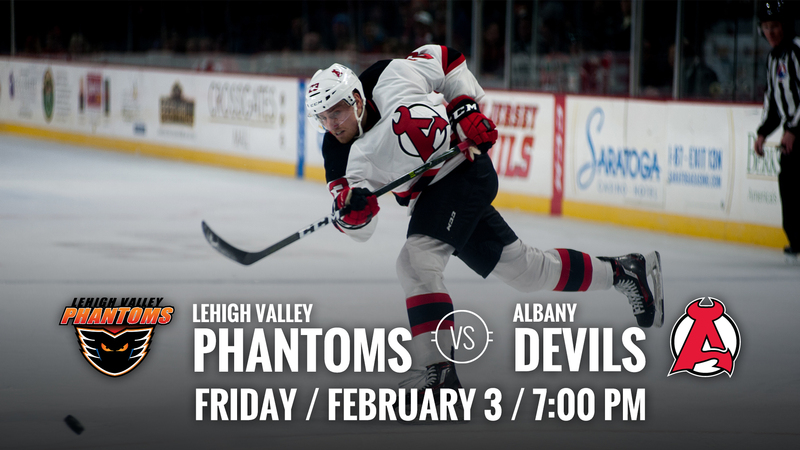 ALBANY, NY – The Albany Devils will face off against the Lehigh Valley Phantoms Friday at Times Union Center for a 7 pm puck drop. 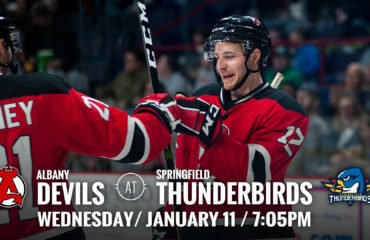 The two teams previously met on Jan. 7 at Lehigh Valley, where the home team came out on top, 2-0. 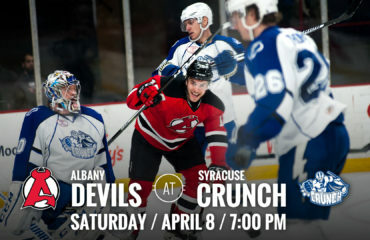 The Devils are coming off a 3-2 win Thursday against Syracuse. Albany’s record stands at 26-17-1-1. The Phantoms are coming off a 3-2 loss at Bridgeport and hold a record of 29-12-2-0. New Jersey Watch: On Thursday, New Jersey recalled forward Joe Blandisi to the NHL club. 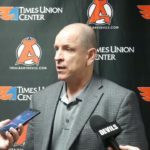 With Albany this season he has 23 points (7g-16a) in 28 games played. This is his first time being recalled by New Jersey during the 2016-17 season. Blandisi played 41 games with the club during the 2015-16 season, in which he accrued 17 points (5g-12a). Streaks Starting: Brian Gibbons is currently on a three game point streak with two assists and one goal. 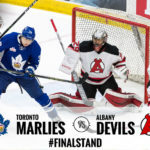 He earned an assist in the Devils Jan. 27 and the Jan. 28 games and netted his tenth goal of the season and third point in just as many games Thursday against Syracuse. 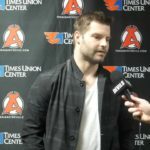 Nick Lappin is on a two-game goal streak, netting a goal in Albany’s Jan. 28 game against Rochester and in Thursday’s game against Syracuse. 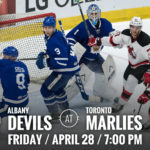 Anderson In The Line Up: On Thursday, the Devils announced they signed goalie J. P. Anderson to a PTO from Adirondack. 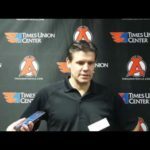 He has played in 12 games for the Adirondack Thunder this season and is 6-3-1-0. He will wear number 40 for the Devils.